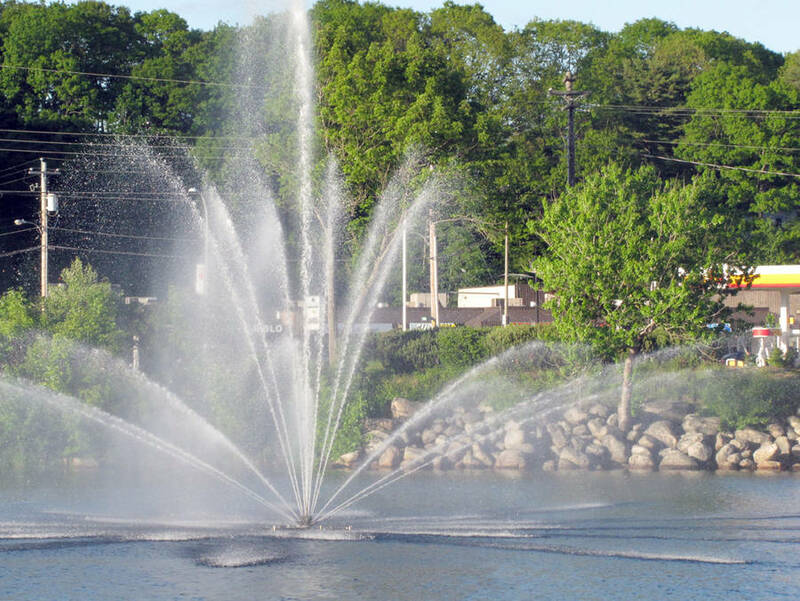 Bridgewater's removable fountain - a LaHave River fixture that sprays water in the air between the town's two major bridges - will make a special splash during next year's budget talks. Some civic politicians are unsettled by the average $12,000 in annual costs to keep it operational. Town council agreed by consensus June 11 to tag the fountain as part of the 2018-19 financial discussion after a politician requested facts and figures. Although she admittedly likes the fountain, Councillor Jennifer McDonald described the maintenance costs as "huge." The fountain has cost town taxpayers a total of $46,100 to maintain the fountain since it was first installed in 2011, figures supplied to council show. The number includes a $1,600 expense to install and remove it each year and the one-time $7,200 cost to replace the original motor. The fountain was out of commission last year when the motor failed early in the 2017 season. Taxpayers have also spent a total of $39,400 since 2011 on electricity to juice the unit. The total cost to taxpayers since 2011 to keep the fountain operating is $85,500 and counting. "The installation of the fountain contributes to public placemaking objectives. The fountain is featured on images associated with Bridgewater, including highway signage," reads a report to council from chief administrator Richard MacLellan. "Visually, it is interesting and attractive. However, in terms of bringing people to the LaHave River and downtown there is not evidence available to demonstrate that. "The questions are: Is the cost of this placemaking effort delivering the value? Or, could alternative annual investments of $10,000 better achieve those objectives? Or, is there a need to invest in accentuating the LaHave River, which is already a great natural attraction and asset." The town purchased the floating fountain from an irrigation sales and service company in February 2010 at a cost of $69,000. It was a single-source deal made after the original tender came in over budget.